So here we are, Celebrity Big Brother fans, day 4 in the house which is actually the footage of the daytime footage of the last recap. Watergate is still weighing on the minds of the housemates. 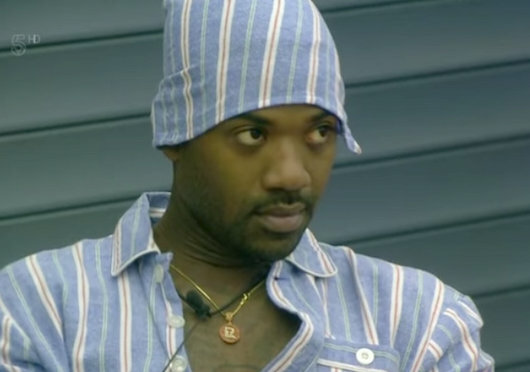 Austin is in the diary room talking about Heidi and Spencer, Stacy and Ray J are in the garden talking about Heidi and Spencer, and Heidi and Spencer are in the bedroom talking about Austin (They missed the memo). 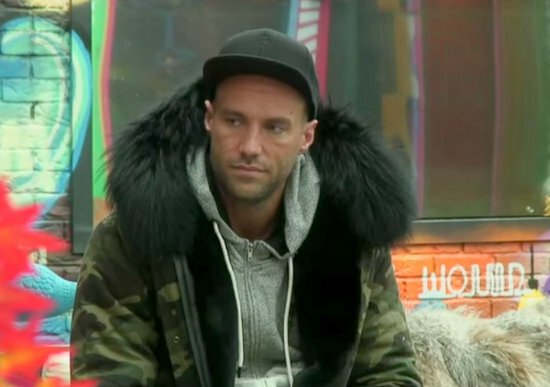 Well tonight looks like the night the niceties vanish and stuff gets real on Celebrity Big Brother. Firstly we have the viewer warning and then the trailers of arguments and new additions (and if the rumors are to be believed, Speidi are not going to know what’s hit them). So on with the show. Straight off, Stacy’s doing that breaking into song thing again. Which is getting really tired now. One minute talking, next minute booming out a note. If she’s not doing that, she’s talking about Whitney Houston. Again. At least this time she’s actually talking to Ray J about it rather than about him. Thankfully she stops blasting her tunes long enough to have a deep conversation about Whitney’s death and Ray J admits he blames himself, as he had gone to get shoes for a night out and took too long so was running late. A sad conversation which thankfully the housemates treated with respect, decency and tact. 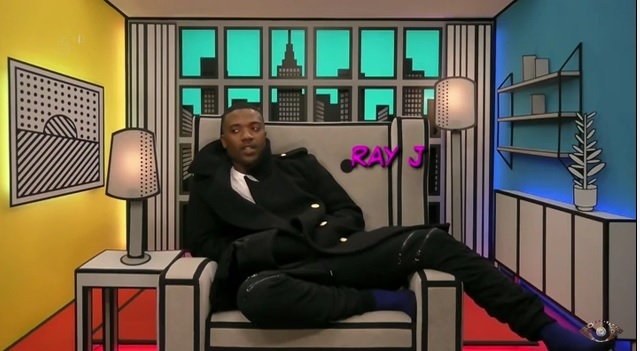 Ray J is clearly upset afterwards and seeks solace in the diary room, visibly distressed. Such a shame. 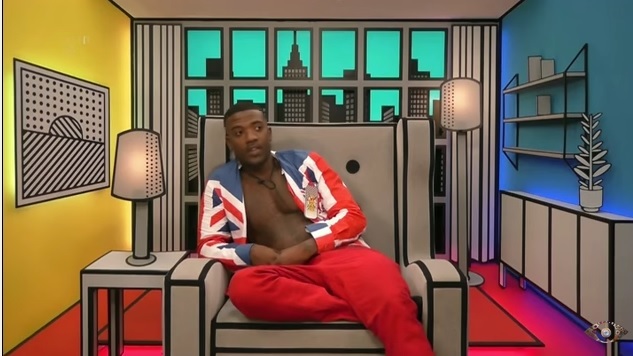 Day 2 in the Celebrity Big Brother house and Ray J is waking up on the sofa because apparently it’s disrespectful to a spouse to share a bed with someone. Has this guy seen the show? Or get any warning what Big Brother entails whatsoever? He needs a word with his manager…if sharing a bed with male or female is this much of an issue, he has some shocks coming his way while he’s here. We’re still at the stage of the game where everyone is feeling each other out, and weighing each other up. Bianca Gascoigne has a very deep and meaningful conversation about her father with Nicola McLean and Jasmine Waltz (who has been suspiciously quiet so far – the whole thing is like Jenga, when you prod and tease at the blocks to see which is the easiest to bring the whole thing down). Unfortunately, the meaningful conversation is wasted on me as Bianca appears to have metal spikes down the parting of her hair. Like, what the…?! Does she sleep with that in?? Does it not snag?? Does she wake up in a pool of feathers and a ripped pillow cases?? How bizarre. 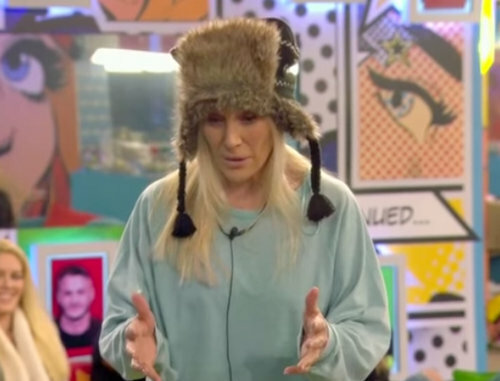 Here we go, day one of the Celebrity Big Brother antics and the teasers are showing Speidi (Heidi and Spencer Pratt) up to their normal camera-stealing, attention-loving, drama-craving tricks. Oh, wait… Am I meant to be neutral and unbiased? Oops. 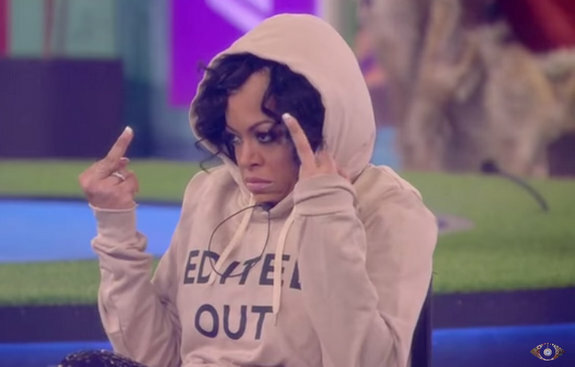 So we left yesterday with beige tracksuit-wearing Stacy Francis being sent to the garden, whilst the All-Stars returned to the house to meet up with the remainder of the Newbies. The house is abuzz with the news that Ray J and Stacy have a history (although unknown as yet what that is), and if she doesn’t have enough reasons to justify her tears and bird-giving, Spencer and Heidi enter the garden to tell Stacy to sit on the specific ‘edited out’ chair and other ‘comforting’ pearls of wisdom (must be neutral…must be neutral…think happy thoughts…).